In June 2012, construction of a high voltage powerline almost 120 miles long was completed by San Diego Gas & Electric (SDG&E). 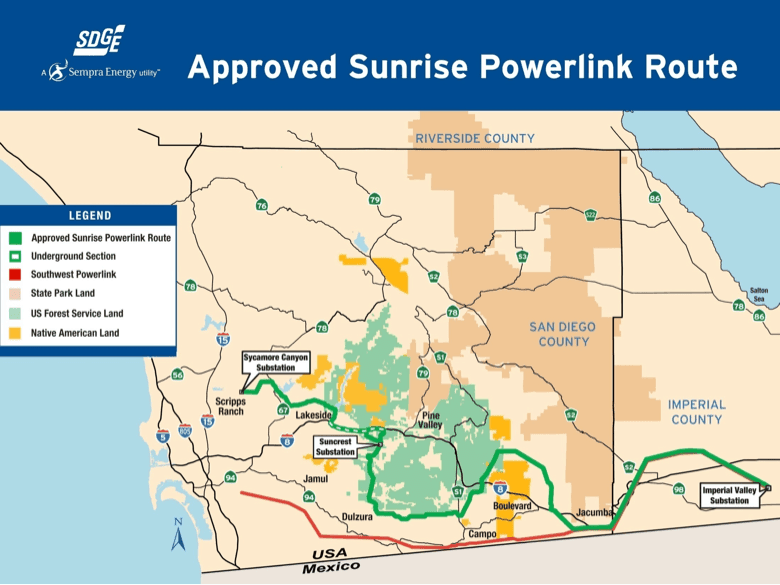 The project was dubbed the Sunrise Powerlink, and it promises to carry thousands of megawatts worth of renewable energy into San Diego County from the Imperial Valley. Of course, with any powerline construction comes increased chance of fire, and as such, SDG&E has funded a fire mitigation grants program as one of the requirements of building the Sunrise Powerlink. This program seeks to prevent fires around the Powerlink and make it easier for firefighters to suppress fires that do occur. One grant available from SDG&E under this program is meant to help homeowners afford the materials and labor necessary to create better “defensible space” around their home. This post will go into detail about the Sunrise Powerlink Defensible Space Grants Program to help you decide if it might be right for you. The Sunrise Powerlink Defensible Space Grant will reimburse homeowners for the cost of certain activities that help you create a defensible space around your property. A defensible space is an area that employs well-known strategies to inhibit the spread of fire. This means that SDG&E will foot the bill to keep your land and property safe. 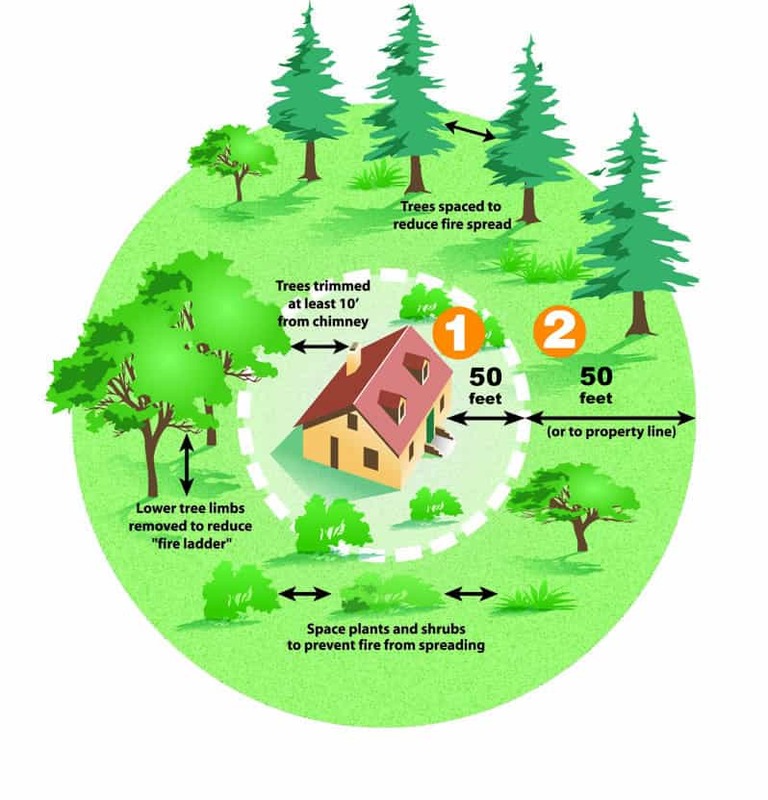 The primary focus of creating defensible space involves removing or spacing anything that could serve as fuel for a wildfire, such as brush, trees, and dead or dying vegetation. The grant can pay for the removal, reduction, and replacement of such plant matter in order to help you protect your home. 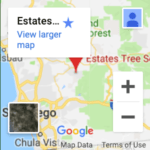 The grant, however, does not cover things like home improvement, buying new equipment from miter saw buzz or similar stores, landscape remodeling or anything deemed unnecessary by SDGE for defensible space. Zone 1 includes the area within 50’ of your house. This zone should be completely free of dead vegetation, the trees should be well-trimmed, and the shrubs should be comprised mostly of fire resistant vegetation. Zone 2 is the area from 50’ to 100’ distant from the house. The trees in this zone should be trimmed properly, and vegetation should be spaced effectively to keep fires from spreading. Brush and plants should cover no more than half of the ground, and the area should be free of dead or dying plant matter. What Does the Sunrise Powerlink Defensible Space Grant Pay For? Labor and equipment use costs for tree trimming, tree removal, and brush clearing. What Won’t the Sunrise Powerlink Grant Pay For? Check To See If You Qualify For a Sunrise Powerlink Defensible Space Grant. Did You Receive a Sunrise Powerlink Defensible Space Grant from SDG&E? While the grant can fund equipment rental for getting the job done yourself, grant funds can also be used to pay for labor from a licensed business, such as Estates Tree Service, if you don’t have any tree’s or brush on your property that need attention, you may consider hiring a licensed San Diego Landscaping company to help clear smaller vegetation from around your home. Unless you really know what you’re doing, it’s probably in your best interest to hire a professional. Give us a call at (760) 440-9138 or use our simple online contact form to get in touch today. Let us help you make a plan for implementing your Sunrise Powerlink Defensible Space Grant funds to keep your property safe from the dangers of wildfire. Tom and company knocked down a big, ugly Jacaranda tree along with trimming some pine branches that were crowding our SDG&E power line. Excellent job and fair price. Especially evident was the clean-up including sweeping the roof which has now never looked so good. Estate Tree Service is highly recommended. We are so happy with the service!!!! Not only did they do an excellent job on trimming all of our trees, the bid Tom gave me was the best out of the three places I called. Tom and his crew are experts at what they do. They showed up on time, did a great job on trimming all of the trees and clean up. I know who to call now next time I need tree service. Thank you so much Estates Tree Service, my yard looks great!